One of the many things I find amazing about stand up paddling is the common reaction it draws from people seeing it for the first time. "What is that? I've never seen that before." It's hard to comprehend that in 2008 the great majority of well-traveled, dynamic and educated people across the United States and around the world have never seen someone simply standing on a floating board and paddling! There seem to be a million ways human beings have figured out how to get across, float on, recreate in, and go under water since the beginning of time; rafts, canoes, row boats, inner tubes, motor boats, jet skis, surfboards, water skis, ships, aircraft carriers, even nuclear submarines. Yet, in the year 2008 most people have not seen a human being simply standing on a floating board and paddling. It's so ironic given that stand up paddling seems to be the most natural and obvious way for human beings to traverse most waterways around the world. Human beings are unique because we stand vertically on two legs. The great majority of the Earth's surface is covered in water. Human beings are comprised mostly of water. Civilizations necessarily emanate from and around water sources. Yet, it has taken humankind until the 21st century to put all these together and recognize stand up paddling as a viable means of water transportation; for recreation, exercise, and functional transportation. The industrial revolution didn't make it possible. The technological revolution didn't make it possible. Standing on a floating board and paddling was possible millions of years ago. Yet, what should be as familiar to most people around the world as a bicycle or a row boat, until now, has been overlooked for the most part by humankind. Everyone who sees stand up paddling wants to know what it is, then want to try it, and when they do, invariably love it. 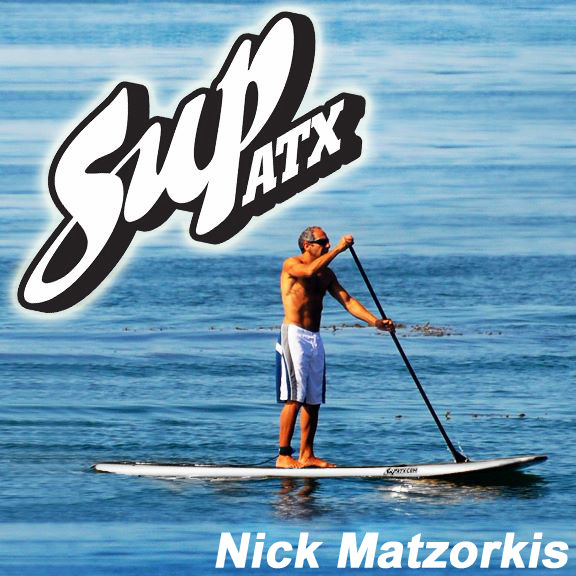 That was my experience and that's why I launched SUP ATX. To make this great sport accessible to the greatest number of people possible worldwide. Stand up paddle boarding is a sport with massive global appeal whose time has finally come.